There’s innovation down in Swanley this weekend, as IPW:UK hosts its first ever women’s show as the first part of an impressive-looking double header of wrestling. “It’s very exciting,” says Rhia O’Reilly, who’s part of a round-robin tournament in the afternoon with Liberty and Penelope. “This is a taster show for women’s wrestling. “She could probably beat up most of the blokes on the evening card,” admits Iestyn Rees. After issuing his Skinny Boy Challenge to wrestlers he considered too small, Rees is taking on someone rather more his own size – Joel Masters. A cold Sunday afternoon in February requires some kind of illumination. 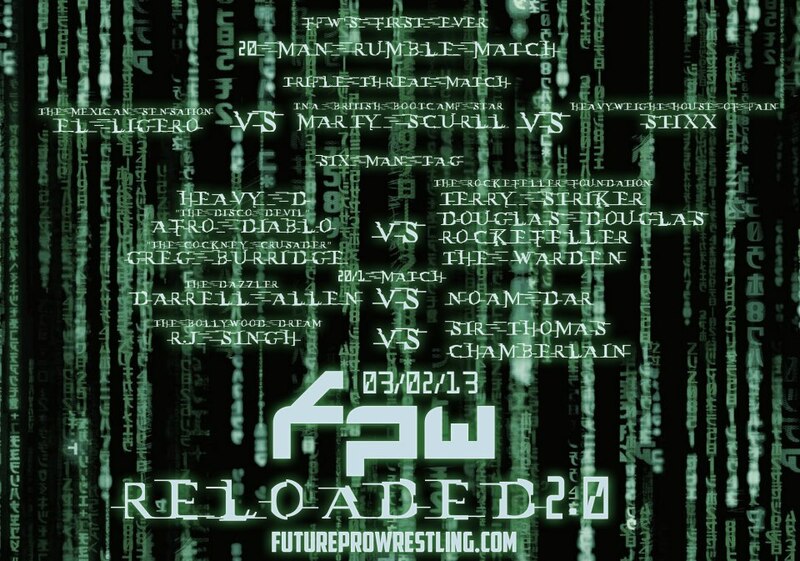 Future Pro Wrestling, in their first event of 2013, provided the stars and warmed a sell-out crowd at the Wallington Hall in south London. Once more the hero of the afternoon was the Cockney Crusader Greg Burridge, dice-thrusting as always, who led his team to victory in the opening six-man tag. 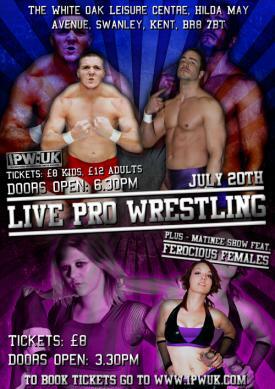 Saturday night sees Iestyn Rees return to IPW:UK to tag with Jimmy Havoc against the Bhangra Knights. Frankly I don’t think I need to say anything else. That sounds awesome enough. “It’s great going back to the promotion where I have had the most success and high profile matches,” says Rees. It’s been a tough few years for Rees, admittedly. So Lembit Opik – 47-year-old former MP and ex-boyfriend of a Cheeky Girl and a weathergirl – is now a wrestler. Last week he was a “guest” at Welsh Wrestling’s show at Welshpool, and intervened by accusing Kade Callous of cheating to get his win over Iestyn Rees, and then by costing Callous a win in the Rumble later on.